White label analytics are a subset of embedded analytics that enable companies to fully personalize 3rd party analytics services. Capable of integrating with XaaS products as well as on-site infrastructure, White Label Analytics are a scalable, secure BI solution. With advanced technology that’s easily implemented, White Label Analytics save businesses the time and money it would take to build and maintain their own branded data architecture. As an embedded analytics product, White Label Analytics offer the benefits of data analysis outsourcing without you ever having to leave your website or application. These customizable analytics suites can have a profound impact on a business’ front-end and back-end operations. With reports conforming to a brand’s UI, white label analytics empower businesses to flex their analytic capabilities for clients without ever having to admit 3rd-party intervention. White label analytics also have the potential to improve the employee experience by offering easy to navigate dashboards that offer multiple ways of configuring, visualizing, and acting on data. How Can You Use White Label Analytics? Companies at different growth phases stand can utilize White Label Analytics’ self-service data model. 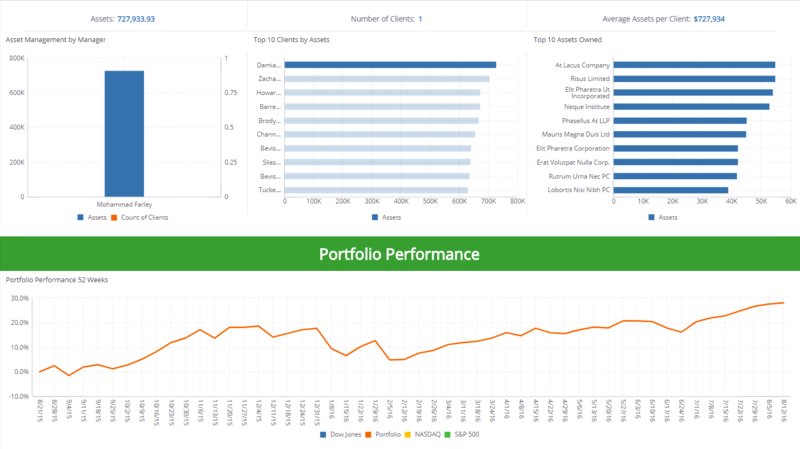 In particular, organizations that are accountable to external bodies such as boards of directors or investors stand to benefit from White Label Analytics’ customizable reports. A non-profit could use predictive analytics to blend its own historical data with other relevant field data to show impact, identify optimal strategies and new areas for investment. These quantifiable results can then be shared with donors and board members as a fully branded presentation to expand the donor bank, boost donor retention and increase overall trustworthiness. Largely dependent on investors in their initial stages, startups are another classic use case for leveraging White Label Analytics. Startups can use the seamless integration of White Label Analytics to manipulate data that highlights their product or platform’s successes and worth, all through a flawless prism of their own branding. However, it’s not just fledging companies that can take advantage of personalized embedded analytics. Legacy heavyweights such as banks and pharmaceuticals have massive datasets that need to be tamed and analyzed for actionable insights before these companies can address their boards or release quarterly reports. By conducting these analyses on their servers, White Label Analytics reduce spending while providing a branded insights that can be displayed as a company’s own.